When you’ve been involved in any type of accident, whether minor or major, Hamilton Towing will be there to recover and salvage anything possible from the scene. In dealing with a difficult and unfortunate event, you can trust we’ll do our utmost to help you get your vehicle towed to a desirable location. 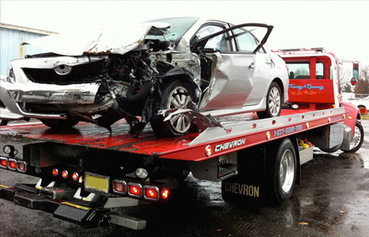 We are skilled and trained to deal with any type of accident and vehicle recovery. We shift through the area, hitch up your recreational vehicle, trailer, boat, cargo, personal car, or other commercial modes of transportation, and securely attach any other salvageable pieces from the wreckage to our tow trucks. We are sensitive and will look for other personal items requested by our clients. We are available 24/7 for service, so give us a call at 289-768-2638 for assistance. At Hamilton Towing, we pride ourselves in a reliable reputation, friendly towing experts, and excellent communication with our customers. When we take your call over the phone, we listen to your concerns, and answer any questions you may have. 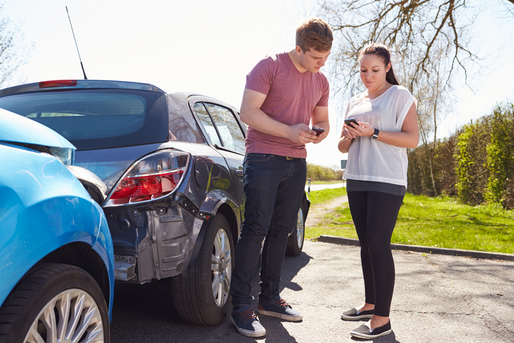 When we go out to an accident scene, we work appropriately with customers and officials, and promptly get your vehicle where you’d like it to go. We can suggest dependable mechanical shops for you, take you to ATM machines, and more. We are honest in dealing with accident recovery, and will deliver your vehicle and salvaged parts to a desired location. We know accidents can be expensive, and therefore, offer on-going, competitive prices, so you have one less thing to worry about. Our towing services go above and beyond for our clients to ensure customer satisfaction. We communicate with you every step of the way, especially with clients who have not experienced accident recovery before. 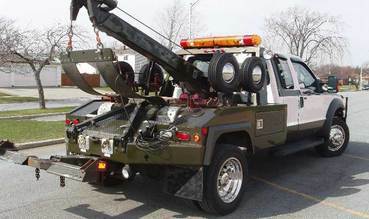 With a little refined touch of sensitivity, we stand above other towing companies here in Hamilton, Ontario. Call us today if you’re in need of any towing services. We offer incredible ease for our customer. We accept all major credit cards as form of payment. Our representatives can also direct you to the nearest ATM when cash is low. Just let us know what you need, and we’ll do our best to assist you. Call us with any questions or concerns you have about your vehicle. 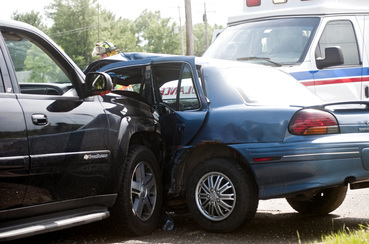 Let our professionals lend you a helping hand, if you’re ever in need of accident recovery. When you’ve been involved in any type of accident, whether minor or major, Hamilton Towing will be there to recover and salvage anything possible from the scene. We also offer winter roadside services for local residents. In dealing with a difficult and unfortunate event, you can trust we’ll do our utmost to help you get your vehicle towed to a desirable location, and relieve you of any stress we can. 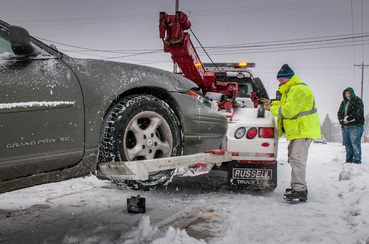 Call us today at 289-768-2638 or fill out the form and a representative will be with you shortly to assist you with any towing needs you may have!